This is a nail cleaner, just like the ones the Romans used, centuries ago. You can always tell whether Romans, and more specific Roman women, have lived somewhere. If so, artefacts like these will be found all over the place. 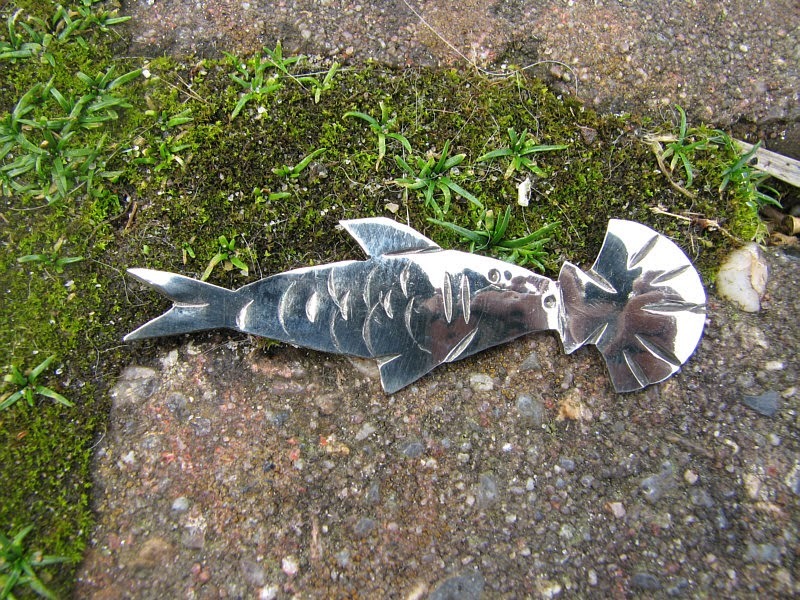 For this piece I used a left-over scrap of silver, already looking a bit fishy - it was more or less fish-shaped. I hammered it a bit to "blow" it up - give it some volume and used several chisels to add detail. I'll probably add a little hole in the top of the shell to make it a pendant.